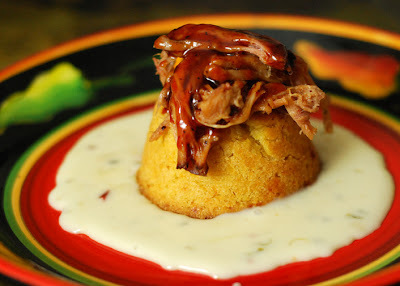 I have my Fire Day Friday guest post up over at Our Krazzy Kitchen where I was experimenting last night with a pulled pork/tamale cake appetizer. Want to know one of my favorite kitchen tools? 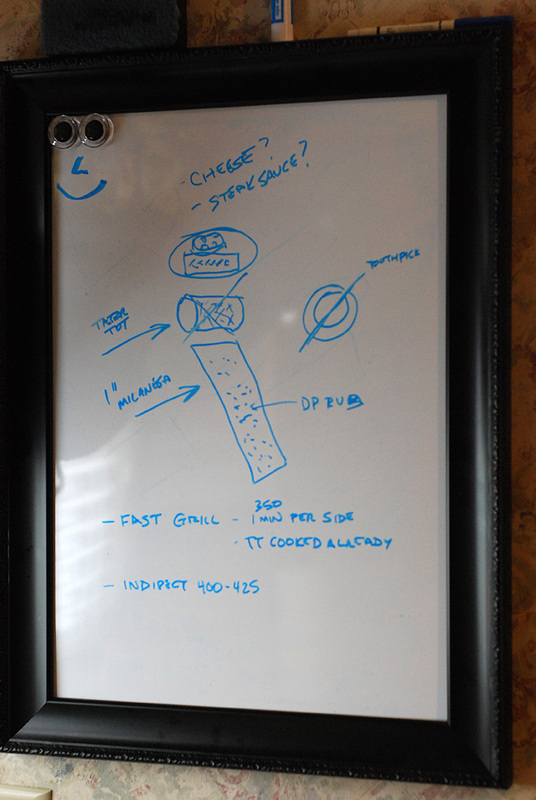 A dry erase board. I know that sounds weird. But I use a dry erase white board in my kitchen almost every time I cook. I bought a simple black framed white board and the way it is mounted in the kitchen, you really don't notice it unless you stand directly in front of it. I use it to brainstorm ideas for an ingredient. 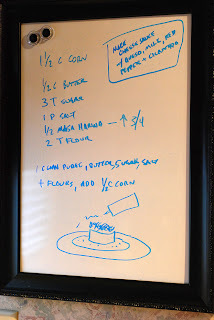 I write a base recipe on it and the modify it while cooking so I remember what I did. 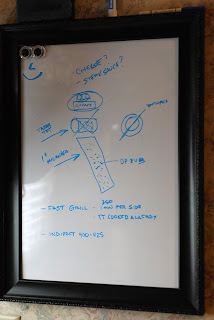 I sometimes diagram my preparation ideas. 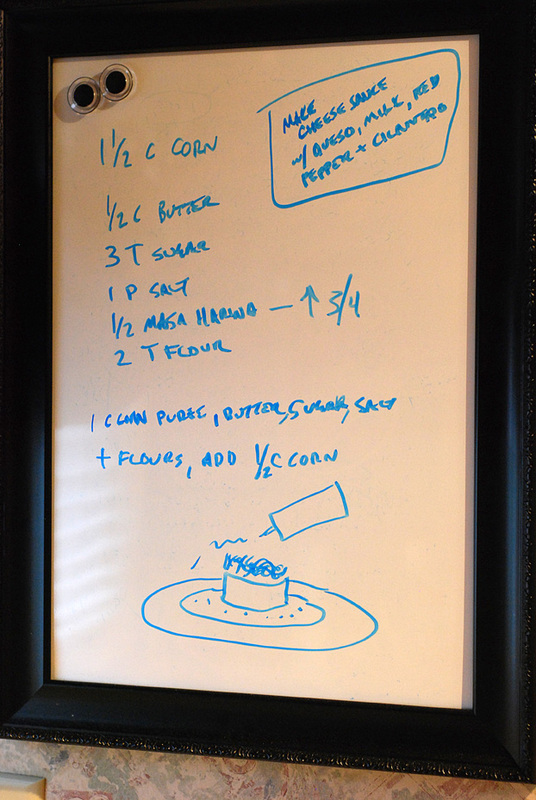 I even draw out what I THINK the dish should look like when finally plated, as you can see on the board from last night's tamale cake. 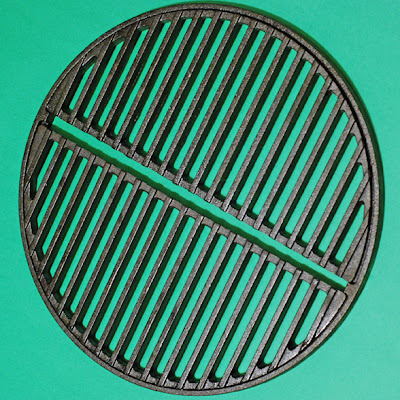 I was excited to get one of the small Craycort cast iron grill grates this week. It fits a small/medium Egg, a Weber Smokey Joe, or similar sized grills. But my primary use of it will be for extreme high temp searing by using a spider rig on my large Big Green Egg. That rig gets the grate right next to the super screaming hot coals. I have my rig ordered and should have it shortly.